The flavors described so effusively by top wine critics may not be shared by consumers who buy products based on their opinions, a researcher suggests. Winemakers and critics surveyed in Canada were found to be much better able to sense a test chemical as intensely bitter, compared with average consumers who weren’t bothered by the taste, according to a report in the American Journal of Enology and Viticulture. The chemical is an indicator of oral sensitivity, the researchers wrote. 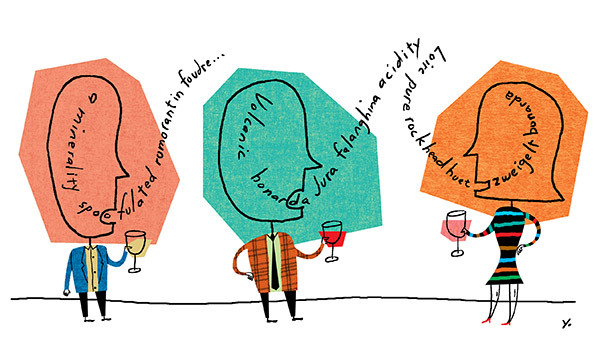 The data suggest people born with a talent for identifying tiny differences in wine may have naturally gravitated to an industry where their abilities give them an edge, said John Hayes, director of the Pennsylvania State University’s sensory evaluation center. Because consumers may not have the same tasting ability, they probably don’t benefit as much from drinking highly rated wine, Hayes said. Still, there may be a psychological lift.